Overall theme of plenaries: Applying our science most effectively requires that we understand the societal context of both our work and our interactions with non-scientists. Environmental Decision Making: How Can Natural and Social Scientists Contribute, and What Can They Expect? Coastal landscapes provide significant natural and social resources within some of the most densely populated regions. These landscapes are also vulnerable to extreme climate events and face significant challenges from anthropogenic activities, including alteration of river inflows, eutrophication, development and climate change. Both natural and social scientists seek to better understand, conserve, and manage these coastal and estuarine landscapes. Often scientists think that if they simply present their information to the public or policy makers, the decisions or responses will reflect the scientific conclusion. However, decisions by policy-makers do not always conform to the information provided by scientists. How are scientific data and knowledge perceived and how do they fit within the policy-making process? Understanding the role of science in the decision-making process should help scientists (1) best provide relevant and timely data to inform policies, and (2) recognize why decisions may not follow recommendations based only on science. This plenary will explore the decision making process, and discuss applications directed to climate change and coastal resource management, providing insight into how natural and social scientists may contribute to current and future issues, ensuring that the CERF community is Responsive, Ready, and Relevant! 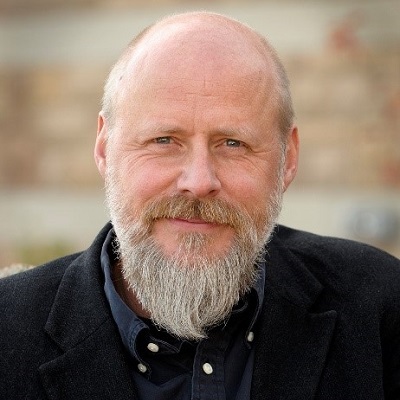 Jason Shogren, Ph.D., is Stroock Chair of Natural Resource Conservation and Management and Department Chair in Economics at the University of Wyoming, his alma mater. He studies the behavioral underpinnings of economic and environmental policy. Jason is a foreign member of the Royal Swedish Academy of Sciences, and served as professor to King Carl XVI Gustaf of Sweden. He worked with the Intergovernmental Panel on Climate Change and for the Council of Economic Advisers in the White House. In 2007, he was one of 2,000 scientists and researchers on the Intergovernmental Panel on Climate Change, which was awarded a Nobel Peace Prize for its research establishing a connection between human activity and global warming. He is a Fellow of the Association of Environmental & Resource Economists, the Agricultural & Applied Economics Association, and the Beijer Institute of Ecological Economics. 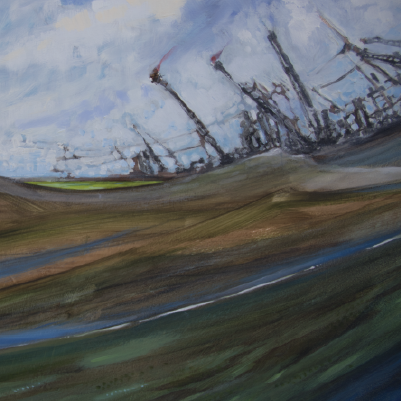 Elizabeth A. Albright, Ph.D., an Assistant Professor of the Practice at Duke University’s Nicholas School of the Environment, engages in research focused on local-level resilience and community learning in response to extreme climatic events. Elizabeth is currently working on projects studying hurricane disasters in the Carolinas, floods in Colorado and access to water infrastructure in Alabama. Of particular interest to Elizabeth is the intersection of extreme events, climate change adaptation, and environmental justice. Funded by the National Science Foundation, her work in Colorado has been awarded the Paul A. Sabatier Award for Best Paper in Environmental Politics at the American Political Science Association annual meeting. 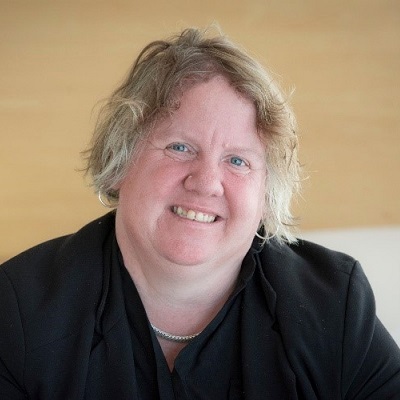 She has published on response to extreme climatic events, the advocacy coalition framework, and stakeholder participation in state-level regulatory processes. 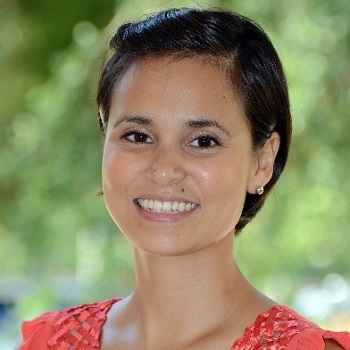 Osvel Hinojosa-Huerta, Ph.D., is the Director of the Coastal Solutions Fellowship Program at the Cornell Lab of Ornithology. Osvel received his doctorate in Wildlife and Fisheries Science from the University of Arizona. 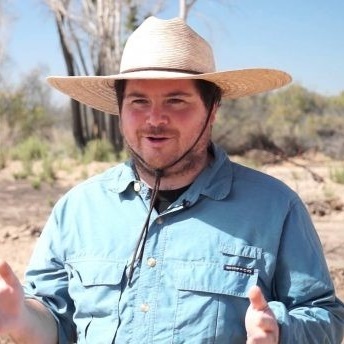 Since 1997, he has been working in conservation and research projects in northwestern Mexico, in particular in wetland areas of the Sonoran Desert. Osvel’s recent activities include the evaluation and recovery of protected birds, the implementation of community-based restoration projects, and the creation of partnerships with governments and stakeholders for the conservation of nature. He has been leading the efforts to restore the Colorado River delta during the past 20 years, including the restoration of river flows and the facilitation of binational negotiations between Mexico and the U.S. for the Colorado River. In his current position, Osvel is working to develop capacity and cross-collaborative projects to protect threatened coastal habitats for communities and shorebirds along the Pacific Flyway from Mexico to Chile. Osvel has co-authored 32 research articles and book chapters. In 2009 he received the National Award for the Conservation of Wetlands in Mexico, in 2012 he received the Emerging Explorer Award from the National Geographic Society, and in 2014 he received the Sonoran Desert Conservation Award. Approximately 40% of the global population lives in coastal areas, which also supports critical economic industries, and resources such as food, recreation and transportation. Ensuring the health and resilience of these coastal areas requires engaging the general population to improve scientific literacy and understanding of these systems. Both citizen science projects and effective science communication provide approaches that encourage scientific literacy, engage the next generation of scientists, and increase data collection possibilities. Increased citizen engagement, and involvement with practicing natural and social scientists help promote the use of up-to-date and relevant scientific understanding at local, state and national levels. This plenary will explore several citizen science projects, and discuss effective science communication strategies as examples of coastal science outreach, ensuring that the CERF community is Responsive, Relevant, and Ready! 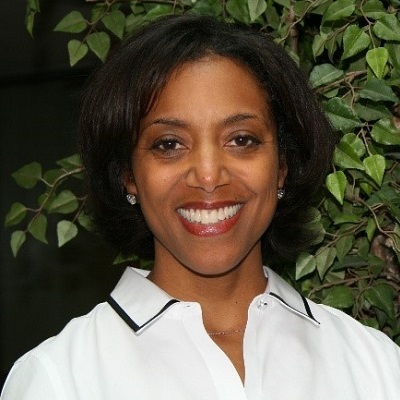 Lauren Alexander Augustine, Ph.D., is the Executive Director for the Gulf Research Program. She is responsible for overseeing all aspects of management and use of the criminal settlement funds from the Deepwater Horizon disaster that were entrusted with the National Academies by the federal government. This includes fulfilling the vision, defining the strategic direction, and leading the development and implementation of this multi-dimensional, science-based program. Since her tenure at the National Academies began in 2002, Lauren has gained experience working in a variety of roles on a broad range of topics pertaining to water, natural disasters, and resilience. Prior to joining the Gulf Research Program in 2018, she served as Director of the Resilient America Program, which supports communities’ efforts to build resilience to extreme events using science and diverse stakeholder engagement. In addition, she has formerly served as Country Director for the African Science Academy Development Initiative (ASADI), a decadal program that built scientific capacity in national academies across Africa; as Director of the Disasters Roundtable; and as a study director for the Water Science and Technology Board. Outside of her work at the National Academies, Lauren has served on the World Economic Forum’s Global Agenda Council on Risk and Resilience; was a member of the Advisory Board for the American Geophysical Union’s Thriving Earth Exchange program; and was a juror for two resilience competitions, Rebuild by Design for recovery after Hurricane Sandy and Resilience by Design in San Francisco. She is also a NATO Expert for the Civil Protection Group. Lauren earned her B.S. in applied mathematics and systems engineering and her M.S. in environmental planning and policy from the University of Virginia, and her Ph.D. in an interdisciplinary program that combined physical hydrology, geomorphology, and ecology from Harvard University. Emily Maung-Douglass, Ph.D., is an Oil Spill Science Extension Specialist, Louisiana Sea Grant College Program, Louisiana State University. Emily received a doctorate in Marine Biosciences from the University of Delaware and holds degrees from Old Dominion University and University of Connecticut. Trained as a marine ecologist, she studied big picture questions using techniques from chemistry and ecotoxicology. During her schooling, she volunteered doing science outreach whenever possible and collected data for part of her dissertation through a citizen science project by partnering with the Delaware Center for the Inland Bays. After post-doctoral work as a visiting science fellow at Xiamen University in China, she put her skills and experiences to use for Louisiana Sea Grant at LSU where she is an Oil Spill Extension & Outreach Specialist. Originally from Cleveland, OH, Emily grew up in coastal Virginia where her fascination with the ocean and environment blossomed. She and her husband Keith now enjoy exploring Louisiana with their dogs, cat, and two-year-old son Luca. Michael S. Wetz, Ph.D., is the Harte Research Institute Chair for Coastal Ecosystem Processes, Texas A&M University at Corpus Christi. Mike is a broadly trained marine scientist, with expertise in phytoplankton ecology and water quality studies. He strives to provide a sound scientific basis for stakeholder-led coastal restoration/management efforts. In recognition of these efforts, Mike has received several awards from local conservation entities, including CCA’s “Conservationist of the Year” and the Coastal Bend Bays Foundation’s “Higher Education Award”. Mike led a volunteer water quality sampling program in Baffin Bay for 4 years. Results from that study are now guiding watershed restoration and protection efforts that are being coordinated by the Baffin Bay Stakeholder group, which he co-chairs. 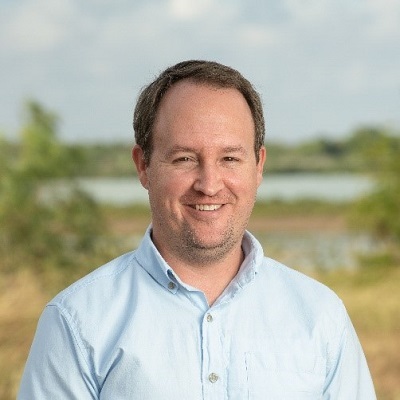 He is a member of the Nueces Estuary Advisory Council, a stakeholder group that is tasked with assessing the effectiveness of the water management strategies in the Nueces River Basin. Finally, Mike is a member of the Gulf of Mexico Alliance Water Resources team, which focuses on understanding and reducing water quality problems in the Gulf of Mexico region. He received a doctorate and masters in Oceanography from Oregon State University, and a B.S. from Coastal Carolina University.